I was an instructor of Skydiving for over 22 years in Piracicaba and Boituva. Brazilian Skydiving champion many times as a Cameraflyer. VATSIM Senior Instructor and crazy about Flight Simulation in general. This site was created to share my projects with you. 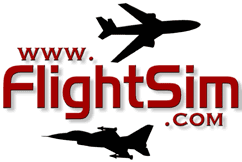 Costumize flight simulator scenery, 3d objects, Addons, Screensavers and more. "Comecei a criar meus próprios cenários para simuladores de voo e objetos 3D, onde veio a ideia de fazer este Site e deixar disponível para quem quiser baixar e usar"